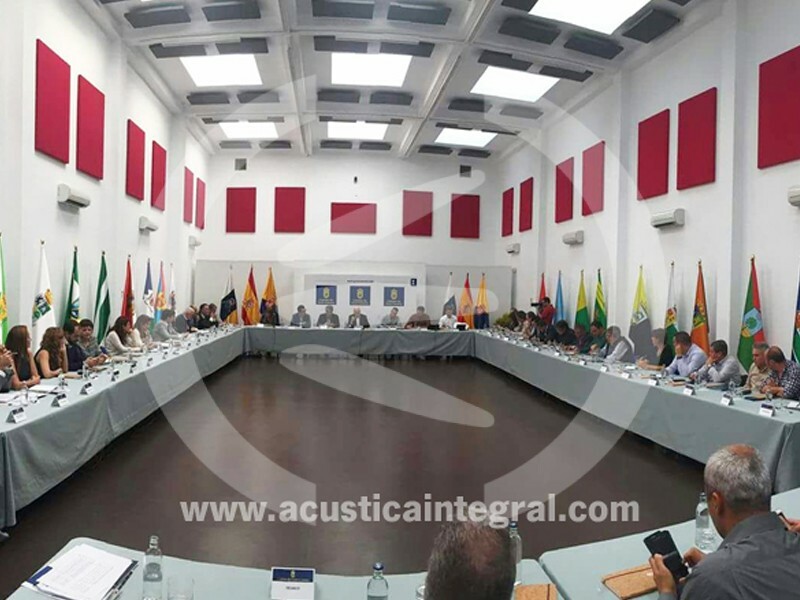 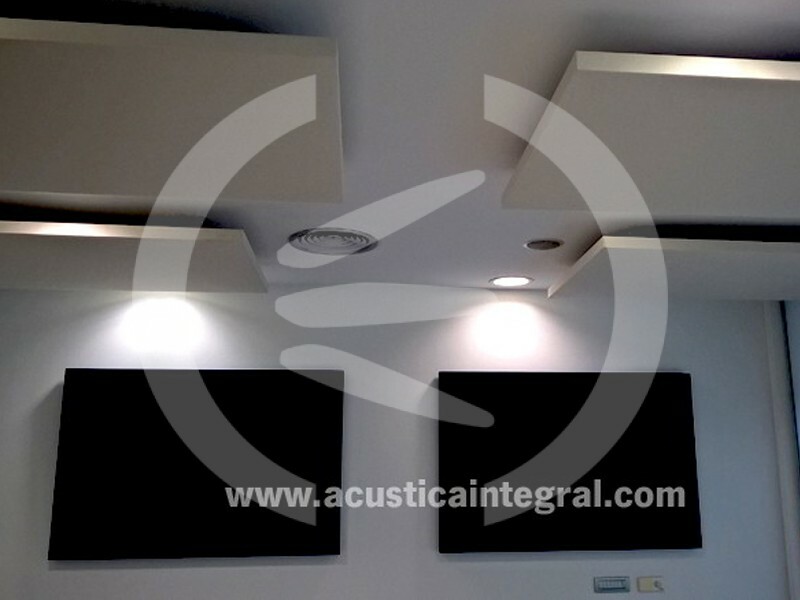 Acústica Integral has conducted the absorbent acoustic conditioning project of a meeting room for the offices of a major aeronautical sector company. 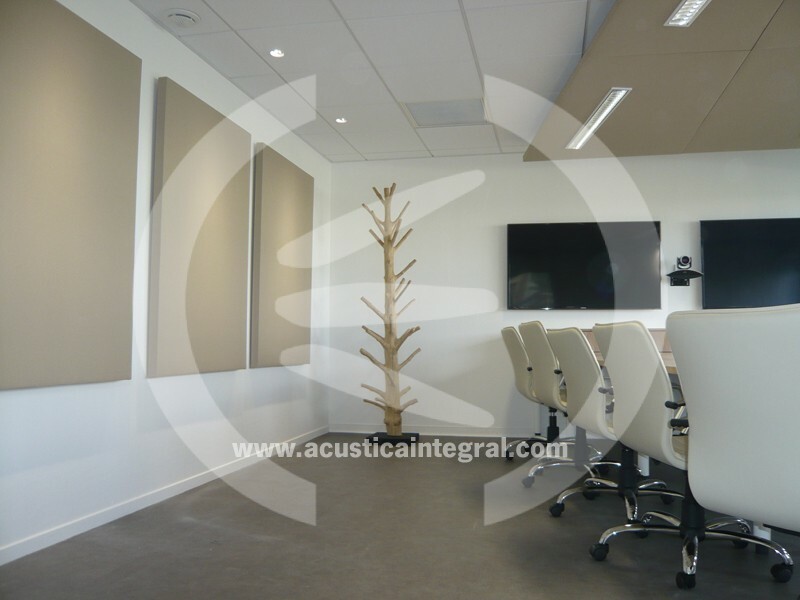 The requirements of this type of facilities were taken into consideration regarding the control of the reverberation time so that conversations can be held as well as adequate meetings through the conference call systems. 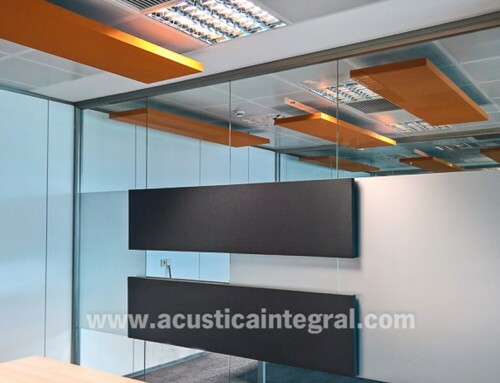 We must take into account that the sound generated due to the reflective effect, produced on the floor, ceiling and walls, generate adverse effects in the videoconferencing electronic systems, producing metallic sound effects or echoes that make it difficult for callers to understand each other. 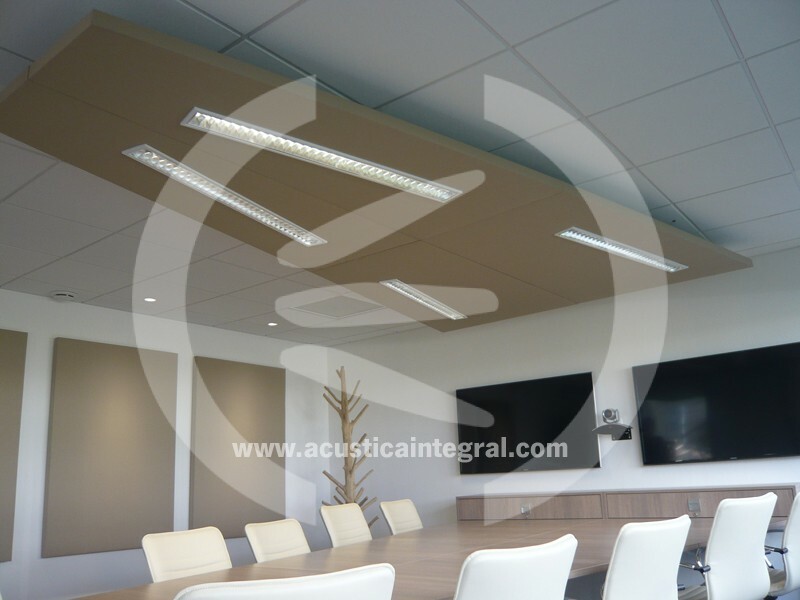 An appropriate absorbent treatment prevents this type of problems and allows achieving a suitable acoustic comfort to carry out all kind of activities, where speech intelligibility is essential. 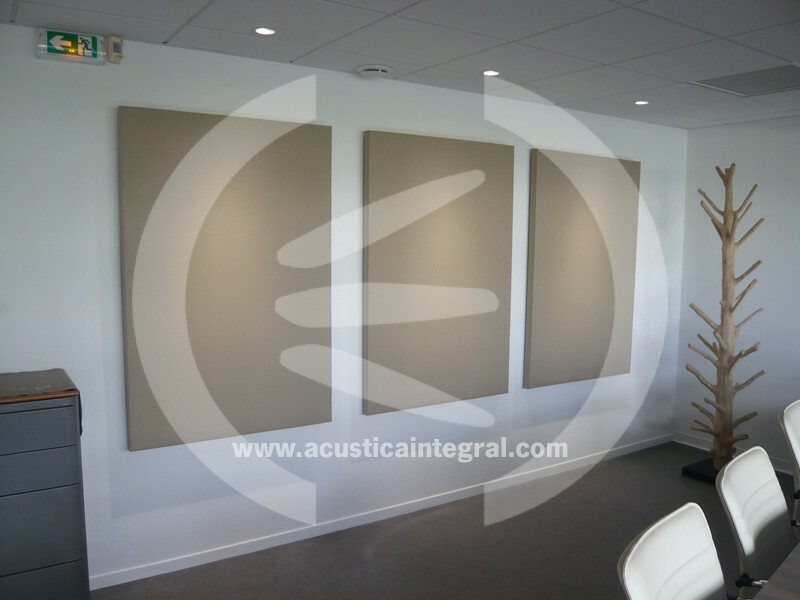 Thanks to the absorbent Acustiart acoustic systems the client can integrate the sound-absorbing systems without having to compromise on a quality design. 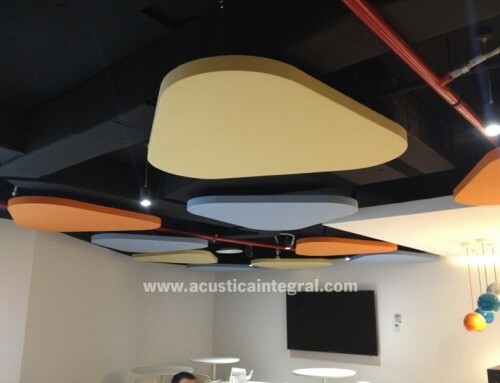 As different shapes, sizes and finishes are available, the client can integrate the acoustic elements within any type of decoration. 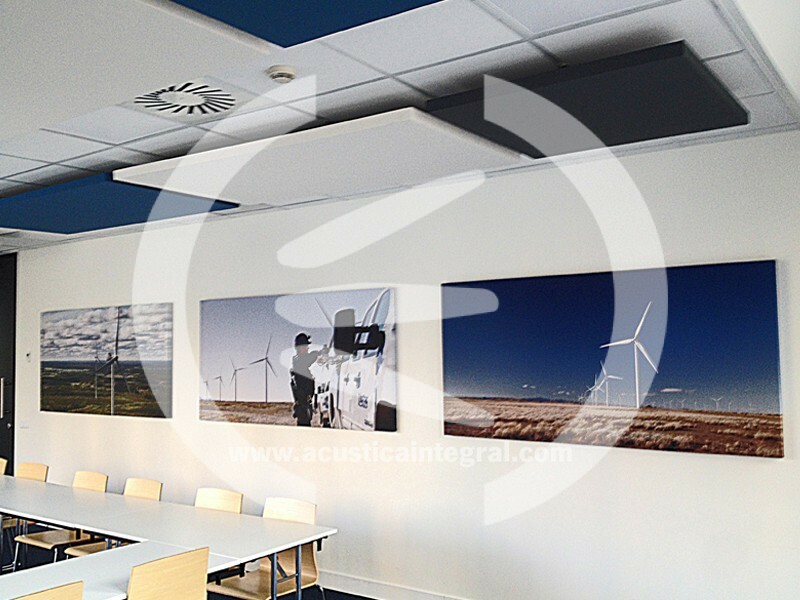 The possibility of installing the lighting through the Acustiart-L acoustic systems prevents disturbing shadows from appearing. 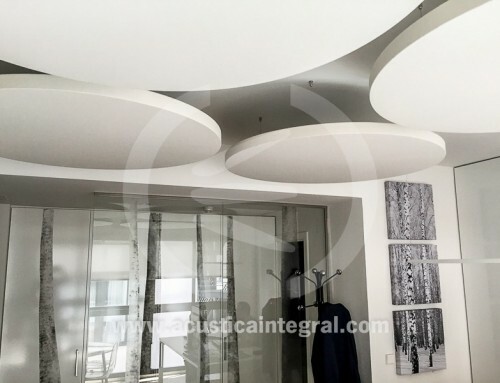 As the acoustic elements are placed in the ceiling, the lighting elements and the acoustic treatment is combined in one single construction element which provides both functions. 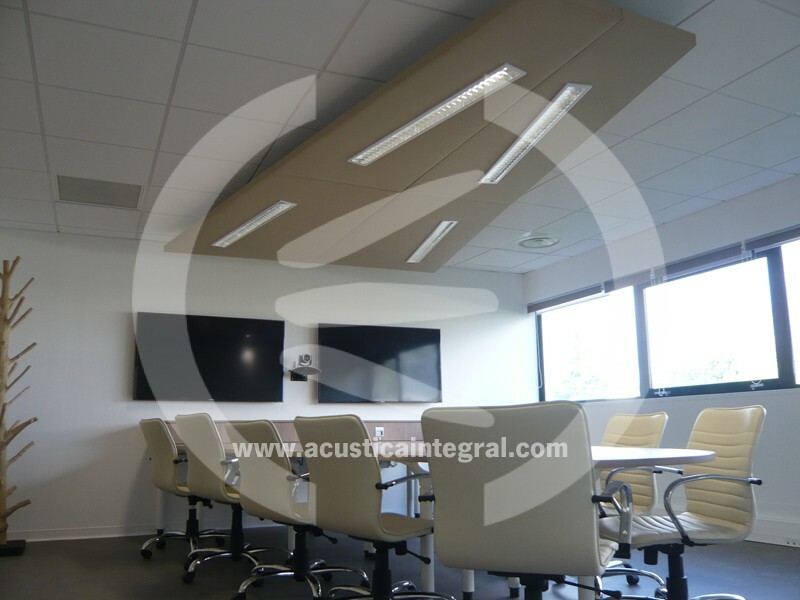 Project: Absorbent treatment in a meeting room. 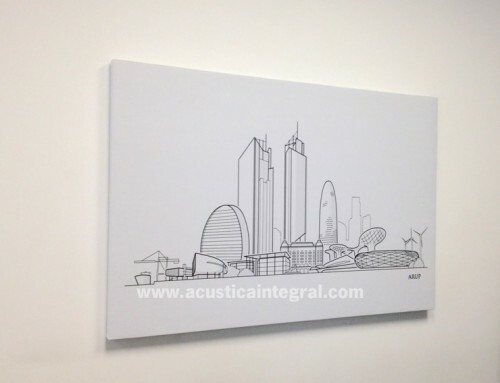 Acustiart and Acustiart-L with customised colours. 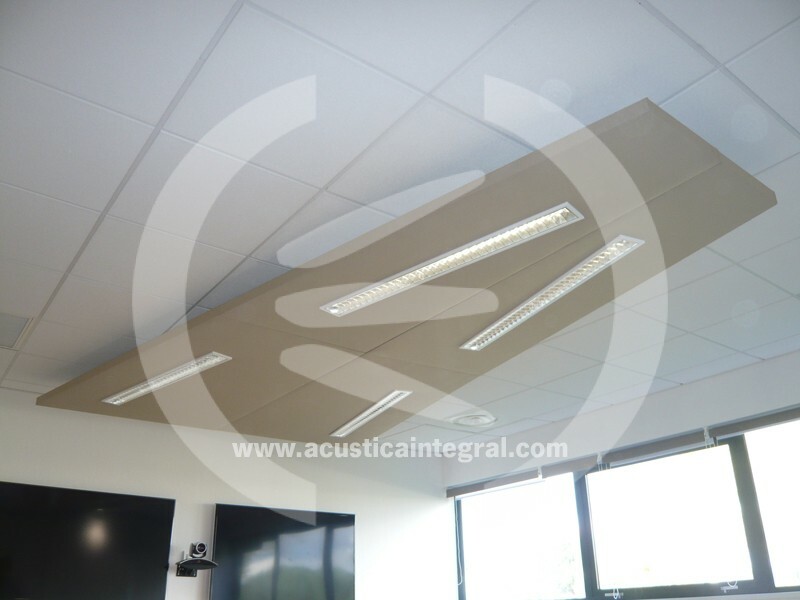 Suspension through support kit for ceilings.